CEREC is a proven technology with two decades of clinical research and documentation representing the latest advancement in chair side digital impressioning. Our in-office CEREC machine uses digital imaging technology to capture an image of the teeth and gums, eliminating the need for messy impressions or temporary crowns. You can even preview your tooth on our modeling system. A tooth with deep decay or a fracture will need a dental crown to restore optimal strength and function. A filling simply will not prevent further damage or allow you to maintain a comfortable bite. 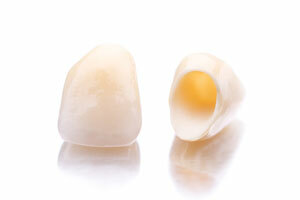 CEREC crowns can be custom made in about 2 hours right here at our facility. This state-of-the-art procedure produces high quality tooth-like crowns in a same day appointment. No lab needed!